As per the People’s Committee in Ho Chi Minh City, one of major duty of agencies and departments is project implementation of pilot markets to sell safe food and safe food chains aiming to provide a closed food supply chains from farm, slaughter to processing and selling. During three recent years, the Department of Industry and Trade in the city insisted in working out pilot markets to provide safe food in a bid to satisfy consumers’ demand of clean food. Along with the project plan, the department liaised with relevant agencies to rate food safety in some markets in the city. 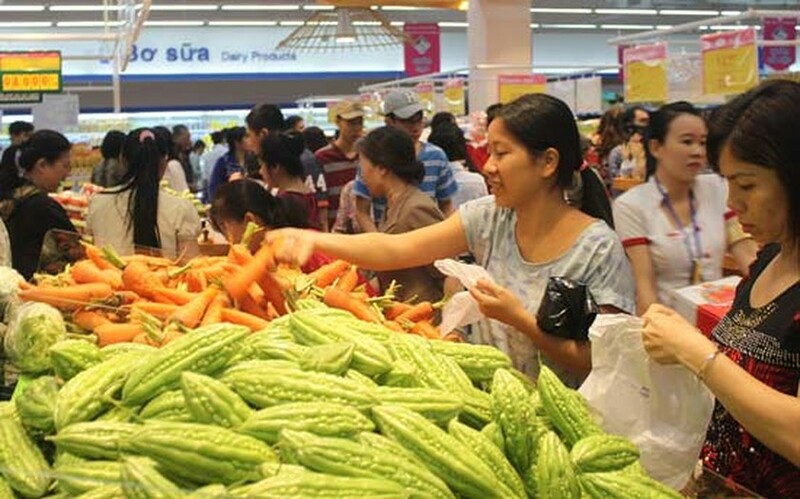 Based on the survey, the Department was given the green light to the implementation of piloted markets including Ben Thanh Market and Hoc Mon agricultural produce wholesale market. One of major duties of the plan is to trace back the origin of pork. As per the plan, the Department will officially launch the project on December 10 to ensure safe pork for consumers. In addition, the city will work out the project safe food chains for the period 2016-2020, through issuance of decision No.26 which will issue and withdraw the certificates of eligibility to partake in the chain. 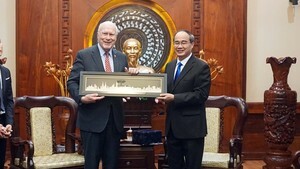 In other side, the Department of Agriculture and Rural Development encouraged individuals and organizations in the chain to have VietGap certificates. So far, 401 organizations and individuals applied for chain registration including Co.opmart, Saigon supermarket chains, Vissan chains, Big C supermarket, Lotte Mart, An Ha Company and other businesses. The implementation of projects has helped the city set up models to control food by chains and cooperate with province in monitoring food from raising to consuming. Based on , it set up programs to open production models as per VietGap model and helped consuming products in supermarkets, stores as well as establish traditional markets to sell safe food. Thanks to it, the city has no deaths because of poisoning for years. Yet it has shortcomings during on the way. Therefore, the steering board for the project petitioned the government to propose the National Assembly to address law to satisfy the reality. Additionally, the government needs to have policy to support farmers and encourage production cooperation and cooperatives which connect farmers and enterprises.